The weekend came and went in just a blink of an eye. How I wish it was longer! I was so busy working on my articles that I didn’t have much time to rest let alone go on my eating adventures out of KL. 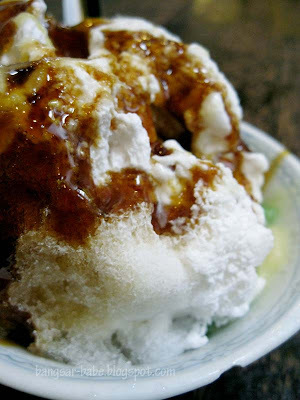 Anyway, here is a post on one of my recent eating sprees – Durian Cendol @Jonker 88. 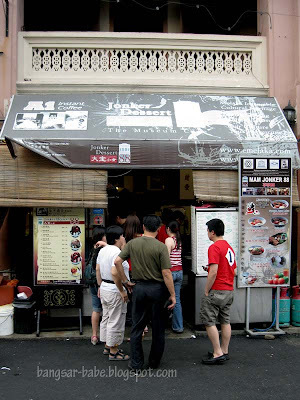 Jonker 88 is located along the busy Jonker Street, and is very popular among tourists, judging from the long queue outside the shop. They are known for their cendol and durian cendol. I found this place extremely overrated, and would usually get my durian cendol fix from Jeta Grooves. Alas, Jeta Grooves was not open that day, and our second alternative was also closed. Left with no choice, we went to Jonker 88. Both our friends thought it was good, but rif and I found it run of the mill. 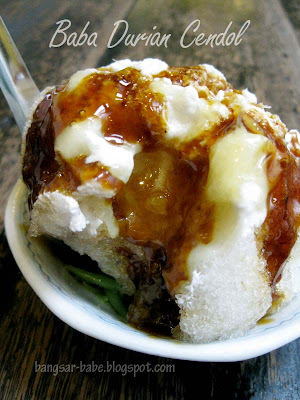 Unlike Jeta Grooves that gives you real durian flesh, Jonker 88 puts durian syrup in the cendol (RM2.70). 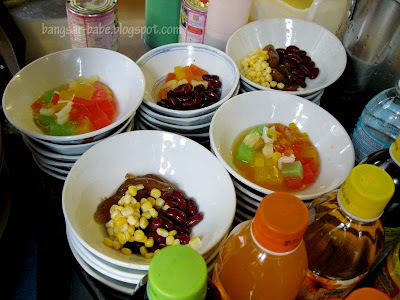 There is a big difference between using real durian and syrup in the cendol – syrup makes the cendol taste artificial. Good thing the palm sugar (gula Melaka) was thick and gooey, it made the cendol palatable. Not worth trying, unless you’re at Jonker Street and want something cold to cool you down. Then again, be prepared to queue up and wait for a bowl of mediocrity. Verdict: Unless you happen to be there, don’t bother. nothing beats the real thing ! syrup??? my god..wht will they come with next??? yeah, not worthy, but the ambience's good though. Jeta Grooves? you should've posted this earlier … aiks. now for another 11 months before the next visit. 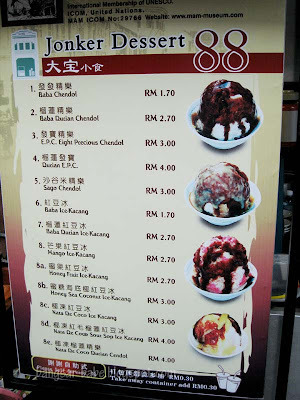 I'm craving for a chendol now. The chendol looks great and the gula melaka certainly looks thick enough! woah, luckily we didnt we in on the last trip as the shop que looks like they are hving good biz and the ice kacang looks good too..
Locals will never goes there is a bloody tourist trap. There is a shop nearby that serve authentic Nyoya food and nice cendol but is expensive. Tummy Rumble – Ooooo….yes, pls do! TY – Yup, tourist trap indeed. Eka – Thanks for sharing!